Due to Turkey’s intransigence and demands for more control over the island the talks for the reunification of Cyprus have proven to be a fiasco yet again! After two and half years of intensive negotiations they have failed without any prospect of a solution. The UN representative claimed there is no basis for continuing the shuttle diplomacy; a badly handled diplomacy by a non-impartial UN diplomat one may add. What is the new sampling block that has triggered the collapse of the negotiation? The answer is very simple: Turkey. Initially the negotiations involved six agreed Chapters altogether. Eighty percent of the four Chapters have but nearly been agreed leaving the last two remaining and the most critical Chapters last – a condition (or a plot) Turkey and the TC leadership insisted on. Under the spirit of good will, the President misguidedly agreed to Turkey’s demands. The last two Chapters involve: Security, Guarantees, the thousands of illegal Turkish settlers and the removal of all Turkish troops out of Cyprus. That’s the stumbling block ¬¬– Turkey refuses or does not want to negotiate those two Chapters at all! A typical Ottoman ploy –leads on to gain time without the intention of making any concessions or to sign an agreement! If Turkey refuses to negotiate those critical two Chapters then there is no chance in the world for a solution. The Anastasiades government tried its hardest to reach an agreement by offering a string of concessions to the Turkish Cypriot side including Turkey but without reciprocation. All that hard work has now fizzled out into thin air. Even so, the Greek side persists in continuing to play into Turkey’s cunning hands believing that a negotiated Bi-zonal, Bi-communal Federation (BBF) solution is possible. The collapse of the Cyprus talks indicates that the Greek diplomacy dealing with Turkey so far has been flawed from the very beginning! There never was a dynamic policy in place to put pressure and force Turkey to negotiate in good faith. Instead, Ankara has manipulated the Greek side through the various TC leaders like a cat juggling a trapped mouse until ready for the ultimate kill. That moment is now getting closer. Turkey has threatened military reprisals if the licensed French/Italians consortium starts drilling for gas this month inside the Republic’s territorial sea protection zone, a threat the UN representative tried to blackmail the Greek side with, to negotiate the four Chapters as a way to stop Turkey making good its threats. Instead of officially and publicly condemning Turkey’s military provocations the UN envoy tried to transfer the blame game on the Greek side for refusing to play Turkey’s games. 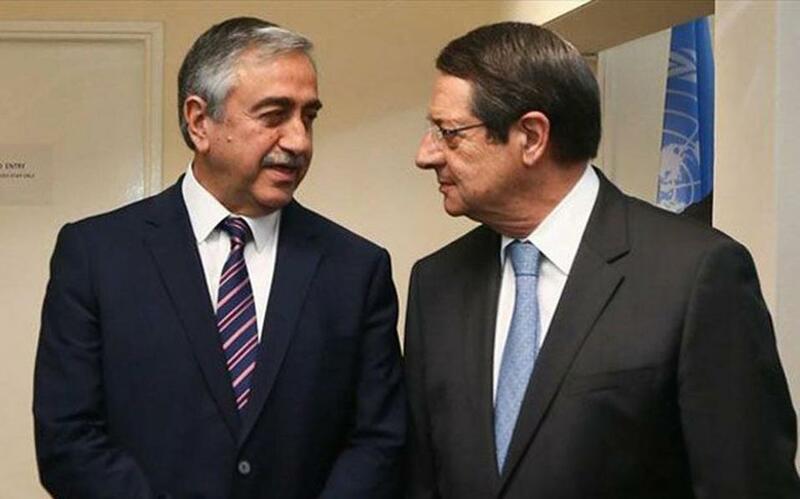 The on/off negotiations confirm that Ankara’s aims are none other than to legalize its military occupation of Cyprus. Only fools would negotiate under those provocations but unfortunately for Cyprus, there are those that are prepared to sign a deal at any cost. They naively believe that Turkey will abandon its military trophy by refusing to see the chameleon staring them in the eyes! Cyprus needs to forge a new long-term national policy so badly missing – a policy to defend the rights of the nation and not one that satisfies the EU, the UN and others. No leadership so far has taken the bull by the horns to “think of Cyprus” first, instead most treaded lightly as not to “offend” Turkey and its western allies. With Turkey’s refusal to negotiate the last two Chapters in good faith, there is little chance of restarting the talks. One may say they are as dead as a doornail! In fact the collapse could be treated as a blessing in disguise that offers Cyprus a new political opportunity to reflect and build new alliances. It is imperative to abandon the failed political ethos of so many years and forge new alliances with nations that are prepared to protect the island and stop Turkey’s geopolitical ambitions in Cyprus. Nothing is for nothing in politics but offering access to Cyprus’s natural gas or military naval bases may well be a way forward to stop Sultan Erdogan’s grandiose plans. In reality, if that happens it would transform the entire political climate and put an end to Turkey’s nasty games in the Eastern Mediterranean and the Republic of Cyprus. Now that the chameleon has been exposed internationally, it is prudent to initiate a new defense strategy in a new era in the history of Cyprus. There are calls for the closure of all crossings between the two sectors and isolate the occupied TC “pseudo-state” – a state that no country other than Turkey recognizes; initiate proceeding at the Hague against Turkey for crimes against humanity for its 1974 military invasion and occupation of 40% of the island; make it clear that Ankara’s EU ambitions will never materialize unless Cyprus says so; take radical steps to isolate Turkey economically and politically and also apply other measures to force Turkey to negotiate in good faith rather than continue with the BBF charade.